Search "Women's leather sandals" 5 results have been found. 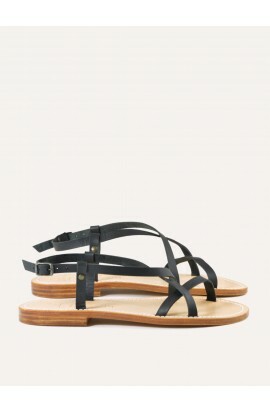 This refined and elegant sandal with narrow straps, also takes very well to the foot. Smart casual is the perfect shoe to enjoy your summer days. Options: beige slip pads (heel and sole of leather). Other colors on request. Shipping included to mainland France.